Todays budget reading at the parliament seduces voter for august polls. - Bana Kenya News, Real African Network Tubanane. Home featured News Todays budget reading at the parliament seduces voter for august polls. Todays budget reading at the parliament seduces voter for august polls. Today the Finance cabinet secretary Henry Rotich appeared in the parliament for budget reading. The early 2017/2018 budget had a lot of confrontations following a deficit of Ksh. 1.7 Trillion that Kenyans will be supposed to offer. The budget which worth Ksh. 2.62 Trillion raised questions from the finance committee on how it will be funded. 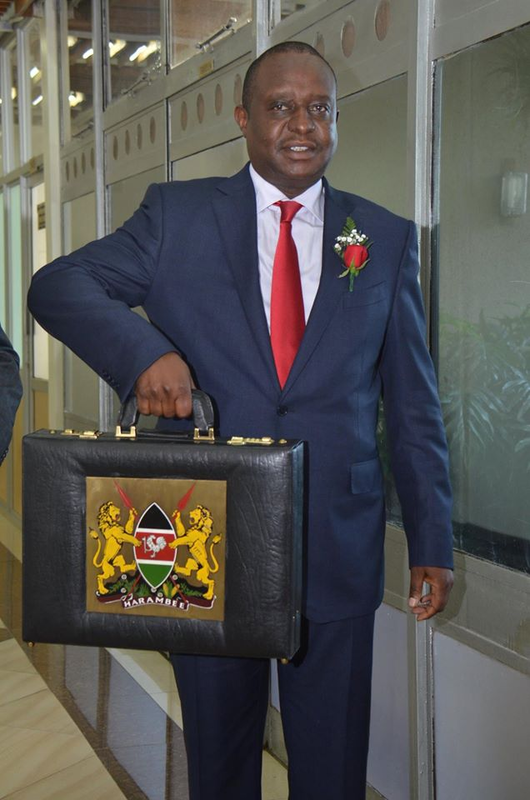 According to Henry Rotich, the budget is expected to be financed by Kenyans and loans from partner countries. The Budget which will make the life of the common Mwanachi difficult proposes a heavy tax on Machinery and pleasure commodities. The Public accounts committee raised an issue of raising the tax. The increase in tax will lead to high level of business operation in the country. The taxpayer lowest level will start with Ksh. 13600. The low-income earners will be boosted as their wages will not be taxed. The biggest losers in the budget are the gambling companies. These companies will divide their cash into equal halves with the government. The Government has raised taxes for those companies from 9 percent to 50 percent. For the common man, the budget has scrapped any tax for all consumables. 0 tax for cereals at the port. The Finance CS has added a lot to the laptop project and infrastructure with 50B and 75B respectively.